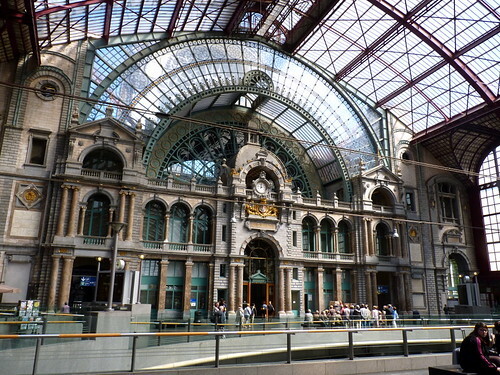 Antwerp train station, very big and more beautiful than most. 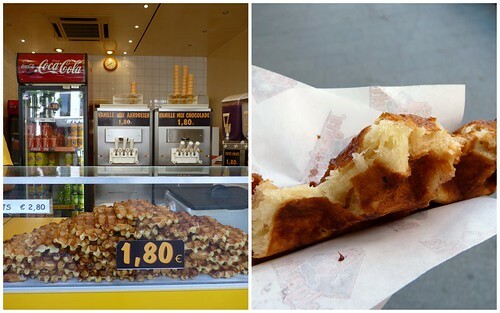 The first food you see when you get off the train in Bruges or Antwerp or I suspect, anywhere in Belgium, is waffles. They love their waffles, which they wrap in paper and eat as they walk in the streets. 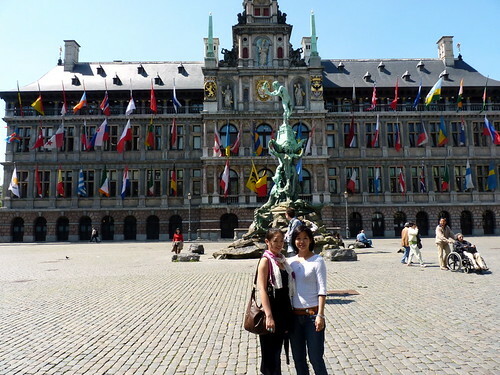 Which is what we did immediately in Antwerp. We were disappointed. The waffles had a bread-like texture, very different from the American waffles that we are used to and there was an unpleasant flavor from the dark syrup. We were told by people we asked that there are two kinds of waffles in Belgium, the Brussels wafel and the Luikse (or Leige in German) wafel, which is German-influenced. Apparently the rectangular, lighter textured waffle we ate in Bruge was the Brussels waffle while the heavy round ones sold everywhere is the Leige waffle. We tried the Leige waffle again, just in case. But again, we weren't used to the bready texture. 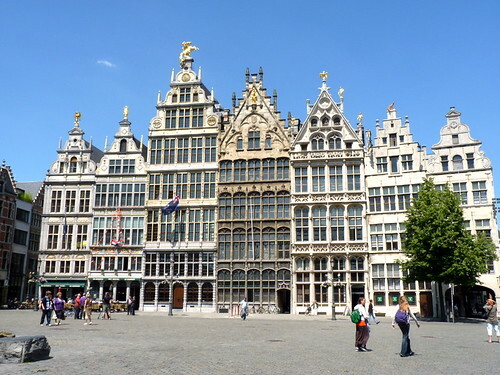 There are old town squares and and lots of shopping streets in Antwerp. 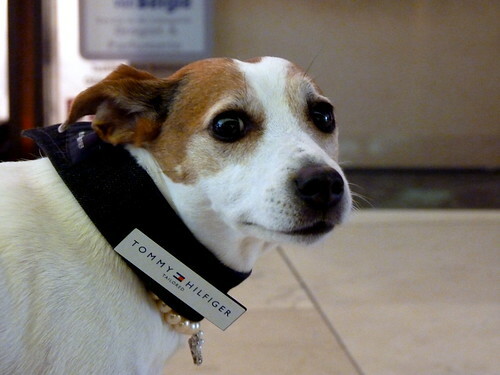 Dog with a pearl necklace. I've always heard of Antwerp being a city where diamonds are cut. 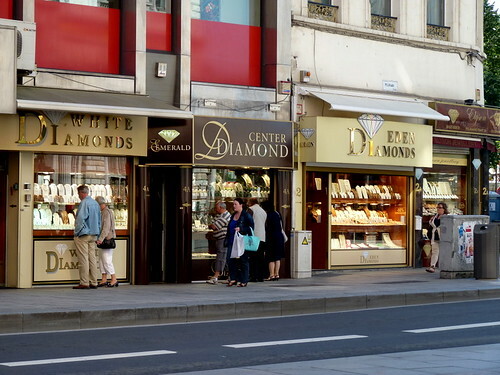 Surprisingly there weren't that many diamond retailers. Travelling in Europe is REALLY expensive (1 euro = 4 ringgit), especially if you stay too long, and the trip to Belgium was the first time I felt it because last month Hub was around and I didn't have to budget. Feeling very guilty, we hardly ate in Antwerp and decided to go back to Delft for dinner. 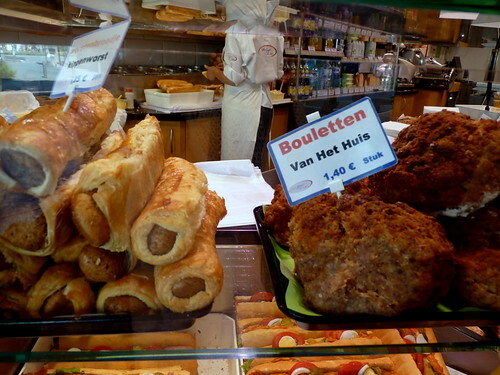 Just before going to the train station, we were so hungry we bought some roasted ribs (3.50 euros), rejecting the scary-looking giant meatballs called bouletten. 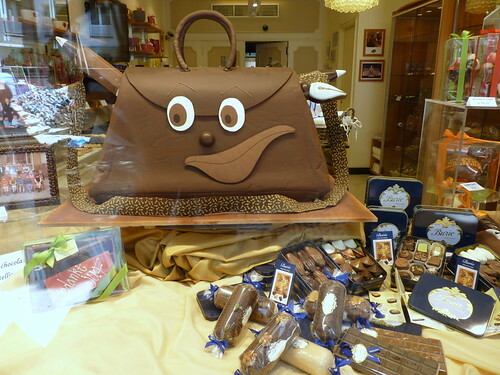 Weather in London is hot now, so hopefully so is Delft and wherever you are travelling to! See you soon. I so hear you on the expensive-ness of Europe.